For links to view some of our suppliers, please go to the websites below. Parker's Circle of Safety program establishes Parker's Industrial Hose Division as a single, accountable source with a specific performance guarantee to protect distributors and end users from accidents, unplanned downtime and increased liability associated with failed industrial hose assemblies. PT Coupling manufactures and distributes high quality quick connect / disconnect couplings and replacement parts. We continually strive to provide these products at a competitive price, with on time delivery, and with the highest standards of customer service. In October of 2001, PT Coupling received ISO 9001 Certification. Dixon Group Canada has grown to become a world leader in manufacturing and supplying hose fittings, related accessories and tank truck products to a variety of industries. Since our introduction of the first one hand push-to-connect quick coupling in 1969, SafeWay has led the industry in innovations and reliability. Our field-proven and complete line of quick connect/disconnect hydraulic couplers have a broad range of applications in every industry where a fast and dependable fluid connection is required. SafeWay quick couplers have a solid reputation for smooth operation without leakage, and with minimum restriction of fluid flow during system operation. PULSAR® Hydraulics Ltd is a privately held Canadian company specializing in hydraulic hose, fittings & adapters. PULSAR® carries large inventories to support the distributors and hose assembly specialists that keep industry moving. NewAge Industries is a manufacturer and fabricator of flexible plastic tubing and hose and a supplier of fittings and clamps. We produce and stock large quantities of a wide variety of rubber and plastic tubing, plastic and rubber hose, fittings, and clamps for same day shipment. NewAge Industries' materials, many of which meet 3A, NSF, USP Class VI, and other requirements, include PVC, silicone, fluoropolymer, TPR (thermoplastic rubber), latex, nylon, polypropylene, polyethylene, and more. Rubber tubing and plastic hose styles are available in unreinforced tubing, corrugated or convoluted tubing, and braid-reinforced hose for extra strength and pressure capabilities. See our Product pages for details and specifications. 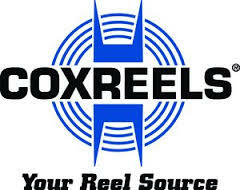 COXREELS® manufactures heavy duty professional grade hose, cord, and cable reels of the highest quality. Our comprehensive selection of reels includes spring retractable, hand crank and motorized hose, cord and cable reels and our patended EZ-Coil® Safety Series spring retractable reels with controlled rewind. We are the worldwide leader in the reel industry and have been serving customers in residential, commercial and industrial settings since 1923. Our engineering capabilities and manufacturing processes allow us to design and build top quality products for any conceivable application where reels are needed. Green Leaf®, Incorporated began manufacturing products for the agricultural industry in 1979. Since then, Green Leaf®, Incorporated has grown and specializes in injection molding of nylon and polypropylene. Our corporation is proud of its complete line of liquid handling products, which includes valves, cam lever couplings and fittings. In keeping pace with technology throughout the years, we have added fully automated robotics in manufacturing and the latest equipment in product stamping and special packaging to our secondary operations. Flexaust has manufactured the most durable, long lasting, flexible hose and flexible ducting products for industrial and commercial applications for 75 years. Our flexible hoses and ducting are used in applications involving air, dust collection, fume removal, lightweight material handling, severe service, high temperature hose applications, lawn & leaf vacuum and commercial vacuum applications. With close to a century of experience, Watson Gloves is Canada’s single source for hand protection: at work, at home, at play. Our team of glove specialists gets tremendous satisfaction from working with our customers to find the perfect hand protection for just about any task imaginable. Whether we source our gloves from the world’s finest manufacturers, or hand-craft them in our local factory, every pair of gloves we sell has been selected from top-of-the-line materials, design and craftsmanship. Try on a pair of Watson gloves. Your hands will thank you! Allied Hose & Fittings ©2018. Powered by WittyCookie, a Vancouver Web Design & Vancouver SEO Company.